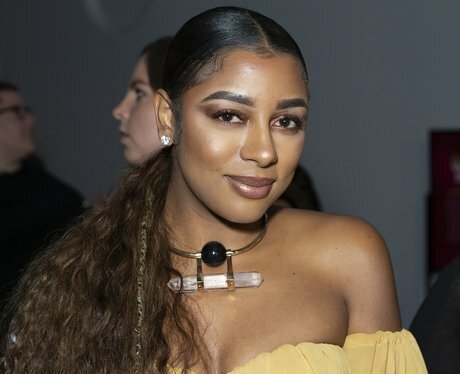 Everything you need to know about Victoria Monet. From her age and hometown to her long and illustrious career with best friend, Ariana Grande. Victoria Monét is a singer, songwriter, dancer, and producer who has worked with the likes of Ariana Grande, Fifth Harmony, Machine Gun Kelly, T.I. and Nas. Victoria’s solo work and work alongside some of the most successful names in music, prove she's a force to be reckoned with. So, who is Victoria Monét? Here’s what you need to know about the talented young star. Victoria Monét was born May 1, 1993. In 2019, Victoria will be 26 years old. Victoria was born on May 1, which makes her a Taurus. Tauruses are known for their dedicated and reliable natures. Victoria Monét was born in Georgia in 1993 but relocated to Sacramento, California when she was a child. As of 2019, Victoria Monét has released four EPs. Nightmares & Lullabies: Act 1 & 2, and Life After Love, Pt. 1 & 2. Songs from those EPs have included “Ready”, “Freak”, “New Love”, and “Backyard”. Victoria Monét is an accomplished songwriter. She has writing credits on songs like “Them Girls Be Like” (Fifth Harmony), “thank u, next” (Ariana Grande), "Drunk Texting" (Chris Brown) and “A Little More” (Machine Gun Kelly). Victoria Monét has been a producer, composer, or vocalist on over 2 dozen Ariana Grande songs to date. Her biggest songs with Ariana have included “thank u, next”, "Be Alright”, and “My Everything”. Victoria has written for all of Ariana's studio albums and even her Christmas EP. Victoria and Ariana are best friends as well as frequent collaborators. In the ‘thank u, next’ era, Victoria has appeared in many of Ariana’s music videos, including ‘thank u, next’, ‘7 rings’, and the standalone collab, ‘Monopoly’. In Ariana Grande’s first televised performance of ‘thank u, next’, the singer appeared alongside Victoria Monét and Tayla Parx during a ‘First Wives Club’ themed appearance. Victoria Monét is a co-writer on ‘7 Rings’, one of Ariana Grande’s most successful releases to date. The song features a Rogers & Hammerstein riff (which led to the forfeiture of 90% of the song’s earnings) and broke multiple streaming records in its first days and weeks. Victoria is also one of the ladies who received a ring from Grande in the original '7 Rings' lore. In April 2019, Victoria Monét and Ariana Grande released the music video for their collab ‘Monopoly’. In ‘Monopoly’ the pair sing about their goals and both utter the line “I like women and men (Yeah)”. It is unclear what, if any, project the song is connected to. In 2018, Victoria Monét shared with fans that she recently experienced a “difficult break up”. In a November tweet, Victoria revealed that she was single and that she “also likes girls’. Later in 2018, Victoria revealed that she'd come out at Thanksgiving.